I recently purchased a .17 Ackley Hornet barrel for the contender on a whim. It is a 10" barrel, and is the only 10" barrel that I own. 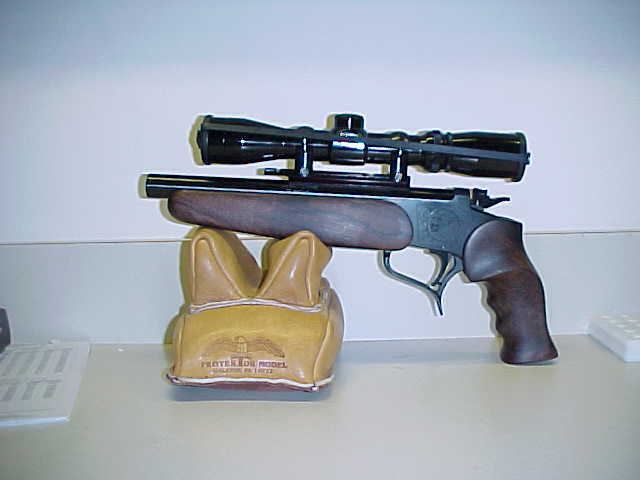 I thought that it would make a nice little gun for shooting gray squirrels in the winter. I also had heard so many good things about the cartridge, that I thought I should try one. I bought the barrel from Bullberry when I saw it listed on the internet specials page. My excitement was peaked by this little package on our first date at the range. I had loaded up some 50 formed cases for fireforming. I bought the cases already formed from John Delozier and only had to anneal them prior to loading. I had some IMR 4227 and some 20 grain Starkes that I chose to use. I looked in my Sensational Seventeens and came up with some appropriate loads for fireforming. I used 11.0 grains of 4227 under the 20 grain Starke bullets using the winchester cases and CCI400 primers. I was amazed at both the accuracy and the velocity achieved with such a stubby barrel. Please keep in mind that this is my squirrel gun and that the intended range is 50 yards or less. 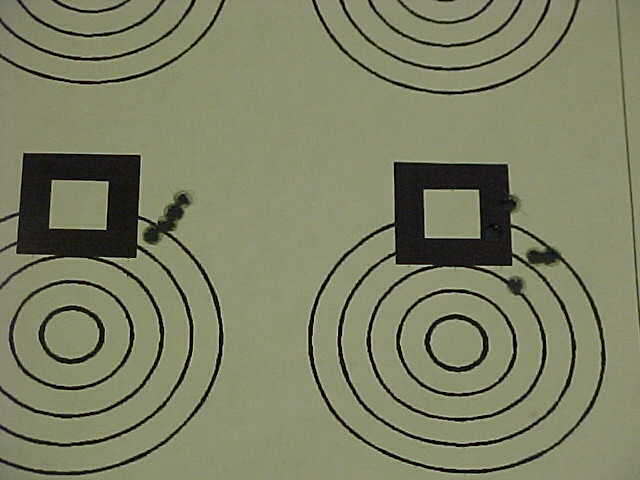 I was sighting in at the range at a guesstimated 50 yards which turned out to be 60 yards after measured. I look forward to the load development for this gun and a successful squirrel season in the fall. I will be submitting a full article late this year for publication in Small Caliber News.